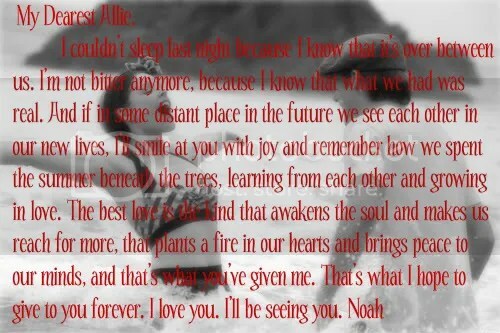 I think it’s time to watch The Notebook again. I’ve seen it ten million times, but I still love it. Women everywhere know that even the smallest changes in humidity can have a major effect on how their hair looks and feels. Scientists have long determined that humidity affects the hair in two primary ways. First, it changes the surface texture of the hair fiber, making it rough and full of friction. Second, humidity increases the absorption of water in the interior of the hair shaft. All frizzy hair derives from this delicate give-and-take of water between our hair and the environment around us, and nearly all of us suffer from some degree of frizz as a result. Remarkably, in 30 years of research and development, science had done little to tilt the balance in your (and your hair’s!) favor. Nearly every anti-frizz product on the market treated frizz with silicone, a technology that hadn’t advanced in three decades. The problem with silicone is that it doesn’t address the causes of frizz; it doesn’t prevent humidity from entering the hair shaft, and it doesn’t reduce the surface friction on hair. Rather, silicone works by weighing down hair with oil, ultimately allowing humidity to penetrate, leaving it limp and greasy. Living Proof scientists identified the problem as one they could solve. The company was created for the purpose of applying advanced technology to solve the toughest beauty challenges. The company is comprised of a diverse team of renowned scientists from leading research institutions and beauty authorities who share a single vision: to invent efficient formulas with new molecules that deliver results you can see across the room. Utilizing their proprietary biomaterials technologies, they searched for materials that could produce control over surface energy and roughness. They steered clear of the minimally effective, traditional anti-frizz technology and instead looked at materials from medical devices to contact lenses. Their search eventually led to the discovery of PolyfluoroEster. PolyfluoroEster is a breakthrough ingredient that allows for control over hair’s surface energy and roughness. PolyfluoroEster, because if its small size, creates a weightless shield on the hair to prevent moisture flux in and out, and coats the cuticles to reduce the friction between fibers. Living Proof has taken PolyfluoroEster and formulated a collection consisting of six styling treatments and three hair care products that work to virtually eliminate frizz. No Frizz even had some benefits Living Proof didn’t anticipate. Repeated use actually improves the hair’s own ability to resist humidity changes, so No Frizz works even better the longer you use it. And due to its low surface energy, the technology repels most other materials like water and oils, translating into a non-greasy coating that doesn’t attract dirt and other particulates. No Frizz is actually more repellent to dirt and particles than natural hair; as a result, you can actually go longer between shampoos. Living Proof first introduced its top-selling Styling collection and it has been the buzz of the beauty industry ever since, winning multiple “Best of” awards, including the prestigious Allure Beauty Breakthrough Award. The No Frizz Styling Collection offers six options depending on hair texture and desired style. Apply liberally for maximum frizz-fighting and beautiful, shiny hair. Select Straight Making for straighter styles and Wave Shaping, Curl Defining for refining curls and waves with a light hold. Styling Spray For Fine to Medium Hair – The lightweight spray is an extremely versatile formula that dries fast and leaves hair with incredible shine. Styling Cream For Medium to Thick Hair – The cream formula provides optimum frizz-reduction as well as added conditioning benefits, yet doesn’t leave hair feeling greasy or heavy. Styling Treatment For Thick to Coarse Hair – This rich, conditioning daily treatment provides optimum frizz-reduction and conditioning benefits for thick to coarse hair, without weighing it down. Living Proof is also introducing the perfect hair care regimen to complement the styling collection and address the specific needs of hair prone to frizz – dryness and damage. No Frizz Shampoo, No Frizz Conditioner and No Frizz Leave-In Conditioner is a daily hair care range incorporating a new delivery system that actually allows PolyfluoroEster to remain in the hair after rinsing. In fact, after five uses, almost 1/3 as much PolyfluoroEster remains in the hair as with the leave-in styling products, ensuring continued frizz-fighting power even before you style. Each of the products also provides heat protection from tools like blow driers, curling irons and flat irons. For the smoothest, shiniest hair, use daily with No Frizz Sprays, Creams and Treatments, for a one-two punch that knocks out frizz. · Humidity Blocking, Weightlessly Hydrating, Sulfate-Free No Frizz Shampoo – Developed with PolyfluoroEster and SLMI, a gentle, sulfate-free surfactant, this shampoo removes any trace of dirt or oil without stripping the hair. No Frizz Shampoo is the perfect choice for everyday cleansing for all hair types, including color-treated hair. · Humidity Blocking, Weightlessly Hydrating, Shine Restoring No Frizz Conditioner –The natural companion to No Frizz Shampoo, PolyfluoroEster helps to shield the hair with a weightless layer to ensure hair is left incredibly soft and hydrated with a light, smooth finish that shines. · Moisture Restoring No Frizz Leave-In Conditioner – This convenient, on-the-go formula combines PolyfluoroEster with lightweight glycerin as the key moisturizing component instead of heavy oils, making it one of the only oil-free, silicone-free leave-in conditioners available on the market. Availability: No Frizz is available exclusively at Sephora. I received the Straight Styling Cream and Straight Styling Spray for fine to medium hair. Both products smell like lemon grass to me, which is different than any styling product I’ve used before. They didn’t smell like chemicals and perfume, it was subtle and pleasant. 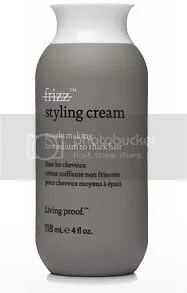 The first thing I tried was the styling cream on Friday; after getting out of the shower and combing the tangles out, i took a nickel sized drop of the cream and rubbed it into my hair starting at the ends and working up to the roots so there wouldn’t be product buildup at the top. I dried my hair with a big round brush and was surprised at how manageable and smooth my hair felt. The little halo of baby hairs that I usually get around my head had been drastically reduced. I’d say it was a 80-90% reduction in frizz. The smoothness lasted all day and didn’t feel greasy or heavy, even the next morning. I’m one of those people that can’t go for more than a day or two without washing my hair because product buildup can make my hair feel dirty so fast; I was pleasantly surprised when I didn’t see any greasiness or flaking from the cream. A+ for the styling cream! On Saturday, I had to try the spray. I washed my hair (even though I didn’t have to) so I would be able to get a true feel for the spray. After towel drying my hair and applying the cream, I spritzed the styling spray through all my hair and dried it. After running my flat iron through the wavy spots, my hair looked so shiny, felt soft, and I was really in awe of how much smoother it looked than usual. A+ for the spray as well! Even after running around in and touching my hair all day, the smoothness lasted. My split ends were way less visible and my hair felt clean, I couldn’t even tell that there was product in it! The only not so awesome thing about the products is the price; $14-$24 can be a little scary for people that don’t have big budgets. I usually go with drugstore hair spray and styling products, but I may I have to save up a little extra to get these in full sizes because they actually did what they said they would do (if you’re a hair product junkie, you know how rare that can be!). If you want to give these a try, remember that Sephora has an awesome return policy in case you end up not liking them or feel that you can’t quite commit to the price. Have you tried any of the Living Proof products? This entry was posted in Hair Products by Vanessa. Bookmark the permalink. I have to dye my own hair this time…no haircut for 12 weeks…ahh!! also – that Notebook quote gets me teary every. single. time.